After swimming in the sea, my skin always feels different. It is refreshed and alive. Inspired by the surf of Malibu, the quintessential southern California beach, OSEA has developed a line of “skincare from the sea”. OSEA features marine-based, technically advanced formulations loaded with naturally abundant vitamins, minerals and essential fatty acids derived from the earth and sea. OSEA is committed to providing luxury products founded on purity, quality and effectiveness. The line offers cleansers, serums, masks, and moisturizers, in addition to organic body scrubs, lotions, and bath soaks. All products are all natural, vegan and biodegradable. OSEA was the first company, in 2002, to sign The Compact for Global Production of Safe Health and Beauty Products to phase out the use of toxic chemicals in all beauty products. Ocean Cleanser: Marine-based gel cleanser for normal, dry and combo skin. Cleanses without depleting skin of protective lipid barrier, provides mineral-rich hydration and is pH balanced. It effectively removes dirt and impurities while hydrating and re-mineralizing the skin.USAGE: Daily cleanser and makeup remover. Sea Vitamin Boost: An anti-aging boost to help skin retain moisture with organic Gigartina algae, wine extract and pomegranate. A refreshing spray throughout the day leaves skin feeling instantly hydrated and toned. USAGE: Use daily for added hydration. Ideal for sensitive, dry, and mature skin. Essential Hydrating Oil: Intensive moisturizing essential oil blend for normal, dry, and mature skin. Organic blend of pure essential oils of Lavender, Roman Chamomile, and Geranium provide an advanced degree of hydration for moisture-deprived skin. Leaves skin glowing!USAGE: Apply under moisturizer. Advanced Protection Cream: Super rich antioxidant moisturizer for dry, sensitive and aging skin. A blend of naturally derived amino acids, vitamins, botanical oils, trace elements and sea minerals hydrate and nourish dry, depleted skin. DPHP, the second ingredient, helps even out hyper-pigmentation, fine lines, and stimulates collagen production. USAGE: Use day and night. Osea’s vegan formulas have earned low hazard scores from the Environmental Working Group of zero to three. Moms give so much to their families. It’s a servitude we do graciously, most of the time, but remembering to take care of ourselves often falls to the wayside. Sometimes we need someone else to do it for us by giving us lovely gifts. 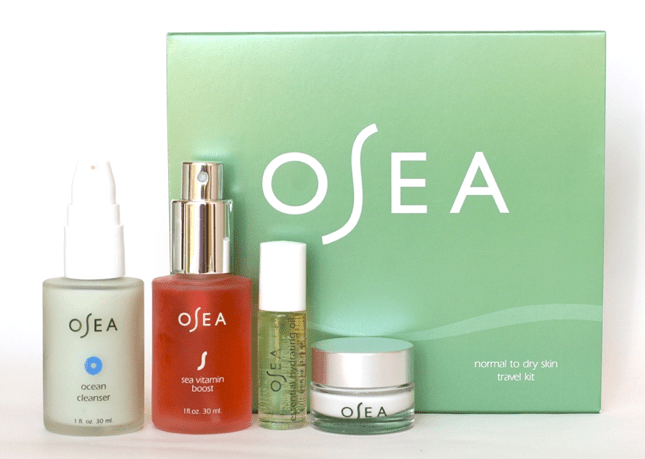 I really like these Osea products and think the moms in your life will as well. « Hank D and the Bee: Be Thankful..or Else! Thanks for this! Another great option is natural skin care from Garden Girl http://www.gardengirlskincare.com. I love their adorable packaging, the fact that they are natural and that they work!